Enrique Machado is a rare talent who adroitly combines his chosen media and subject matter to create arresting works that exist in the realm between painting and sculpture. Born and raised in Miami where he attended the Design & Architecture High School and the New World School of the Arts before attending Kansas City Art Institute where he studied sculpture, Macho’s recent paintings are the result of a distinct, gesturally-manipulated accretion of materials at once experimental and impractical to pigeon hole. 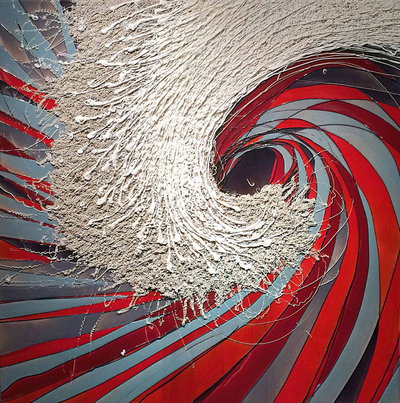 The 28 year-old artist’s recent “Wave Series,” which includes large format mixed media paintings such as Crash, Tumbling Wave and a soaring outdoor mural on the exterior of a two-story building, push beyond figuration or abstraction while managing to harness the movement and ferocity of the natural environment. The attention-commanding works bring to mind the classical ink brush painting known as The Great Wave, created by the Japanese master, Hokusai, during the late Edo period in the 1830’s. It depicts an enormous wave menacing a fishing village on the coast of Kanagawa with a view of the iconic Mount Fuji fixed in the distant background. And, while the rising young talent also credits Van Gogh and his exaggerated style and use of patterns in ordinary landscapes as an inspiration, Machado’s work adopts a fresher, non-traditional approach employing ordinary tools and media from the corner hardware store to create his contemporary slant on the forces shaping nature and human consciousness. Perhaps the most notable element of Machado’s practice is that he substitutes traditional paint brushes, oils, and acrylics with a caulking gun and colored tubes of silicone. 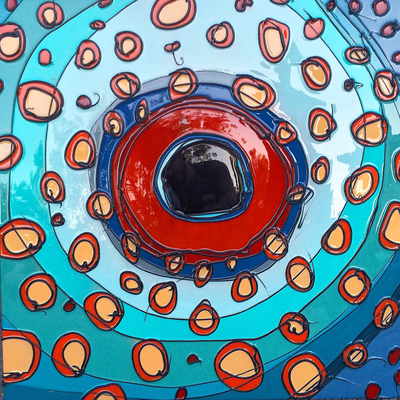 He creates his works by directly applying the silicone onto his chosen surfaces. In this labor-intensive process, he is earning raves from both the art world and collectors. 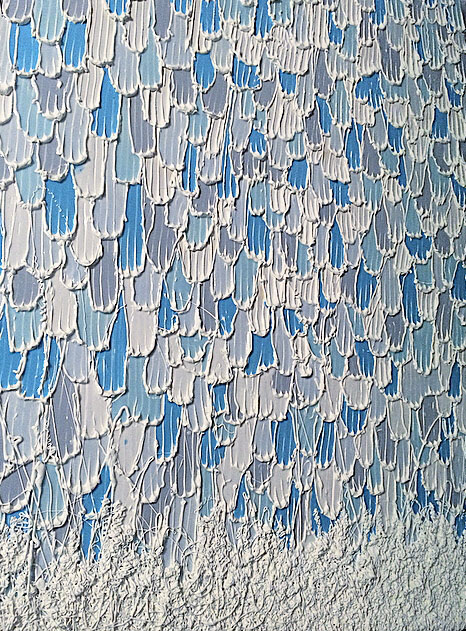 “In 2007 I came across this material that attracted all my senses as an artist,” explains Machado. 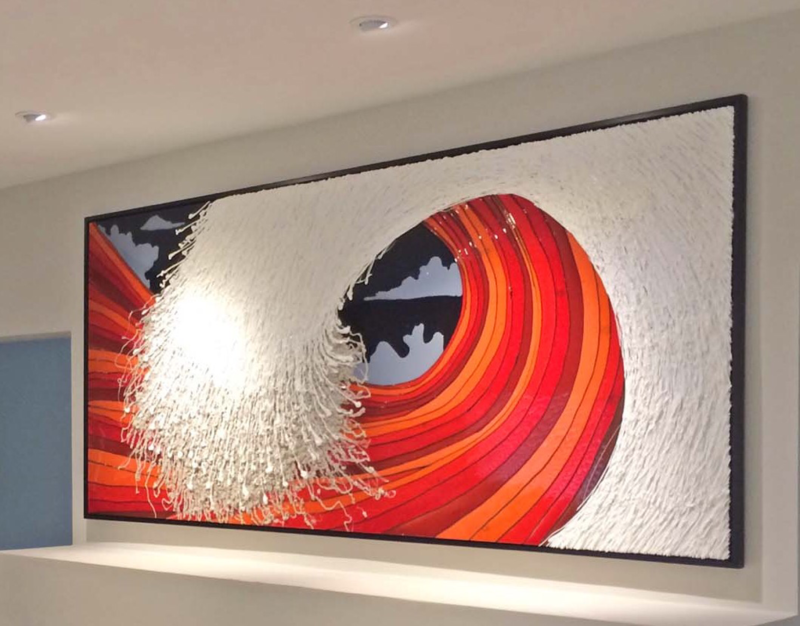 “I picked up silicone and used it like any other material in my background. I saw that silicone came in black, grey, white, and clear, and thought of it like colors in an acrylic tube---only a much bigger one. So naturally I used it on a 2-D surface as if I were drawing. I noticed that as I squeezed out the silicone onto the canvas, it was a tool that made lines so I started using the silicone like marks of a pencil. ”Instinctively, Machado also began experimenting with movement, thickness and texture while applying his nozzle to canvas. “It was at that point that I realized that I needed to incorporate all that I had learned about composition, contrast, lights and shadows, concept, and color,” mentions the artist while adding that he soon began experimenting with more colors. “I had a moment of clarity and imagined what such a painting would look like,” recalls Machado. “I pictured all the texture and how it would be a cool 3-D painting. I filled the shopping cart with silicone caulking tubes, a caulking gun, and went home to make the first Silicone Art work. I instantly fell in love with the process because I was excited to paint all over again,” he says. As Machado began mastering his new medium he also began maturing his studio practice while exploring the introduction of sculpture onto a flat and restricted surface. “I love how the texture creates its own shadows and reflects its own light along with its concrete solid blocks of color gleaming from all angles as if it was always wet and never dry,” enthuses the artist. “I noticed how the works were always alive, always moving, dripping, showing depth, and bringing in the viewer for an intimate, esthetic experience. Accomplishing this is all I've wanted to do in making art, whether it was drawing with charcoals or acrylics. Painting was always fundamentally the same for me,”reflects Machado. 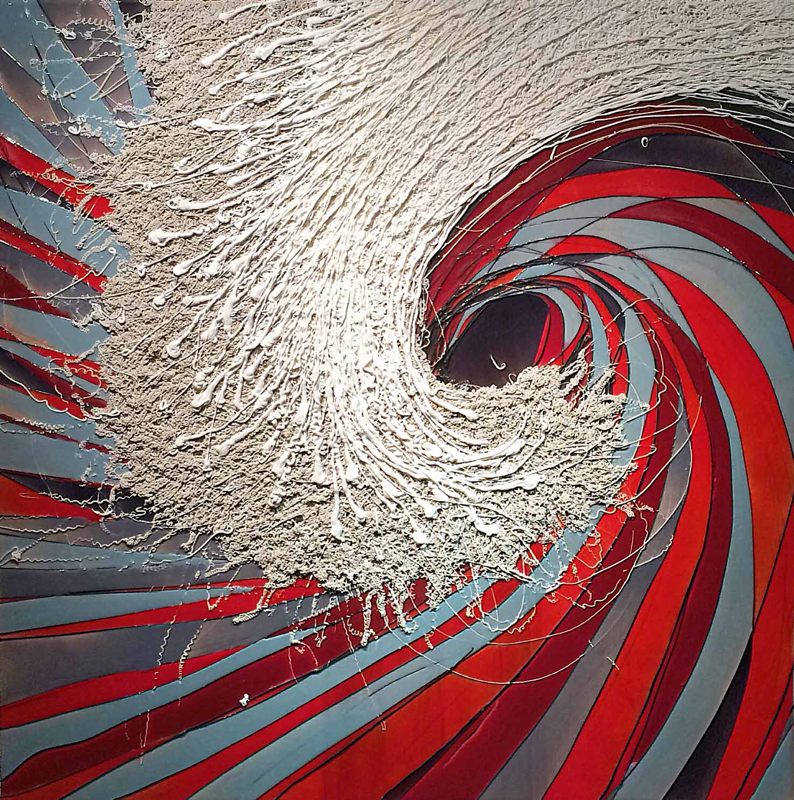 “It’s the experience and gravitational rawness of the work that keeps me pulling back and forth from sculptural textures to a restricted 2-dimensional painting.” In fact in a series called “Crash,” rendered with bright monochrome fields of rainbow splashes contrasted by beached-bone accumulations of silicone ribbons, the paintings exude a shiny efflorescence imbuing the works with a notion of the ecology in conflict and a more profound need for humanity to better steward our planet. “My work revolves around a power bigger than ourselves and a sense of an overwhelming shower of inevitability crashing down and creating chaos in its process,” observes Machado. “But, not unlike the ocean, that power can be violent one moment and calm the next,” he adds. 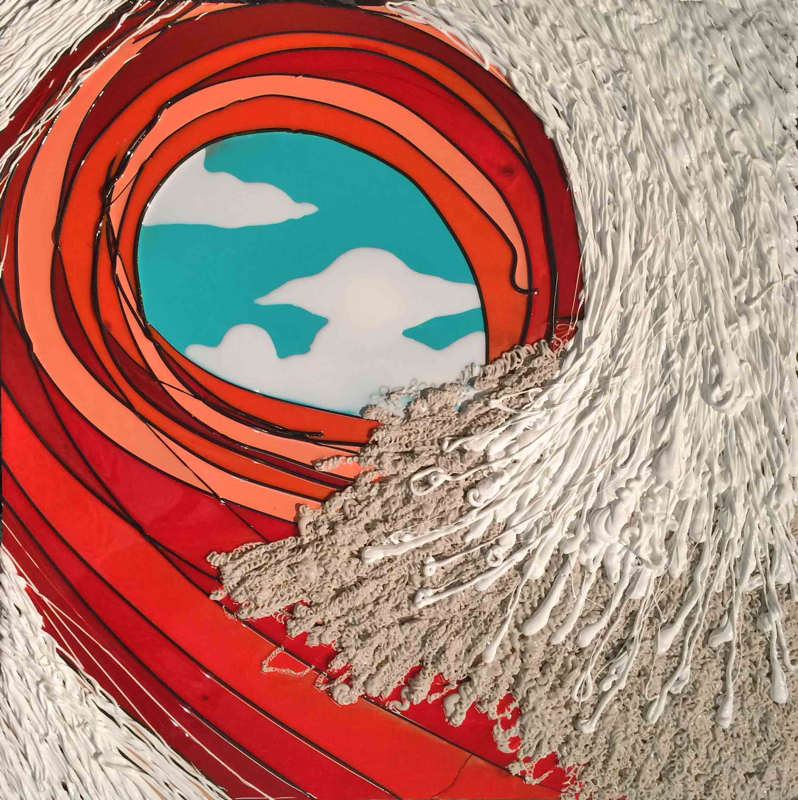 Machado also says that his stylized depictions of the waves and ocean surrounding his hometown of Miami are an expression of life and its struggles. “The foam-like textures speak like loud noise and confusion while the resin colors are solidly assertive and clear in its existence. The whirls and movements might hint to the journey of one’s afflictions only to disperse in all different directions before the final clash,” he muses. 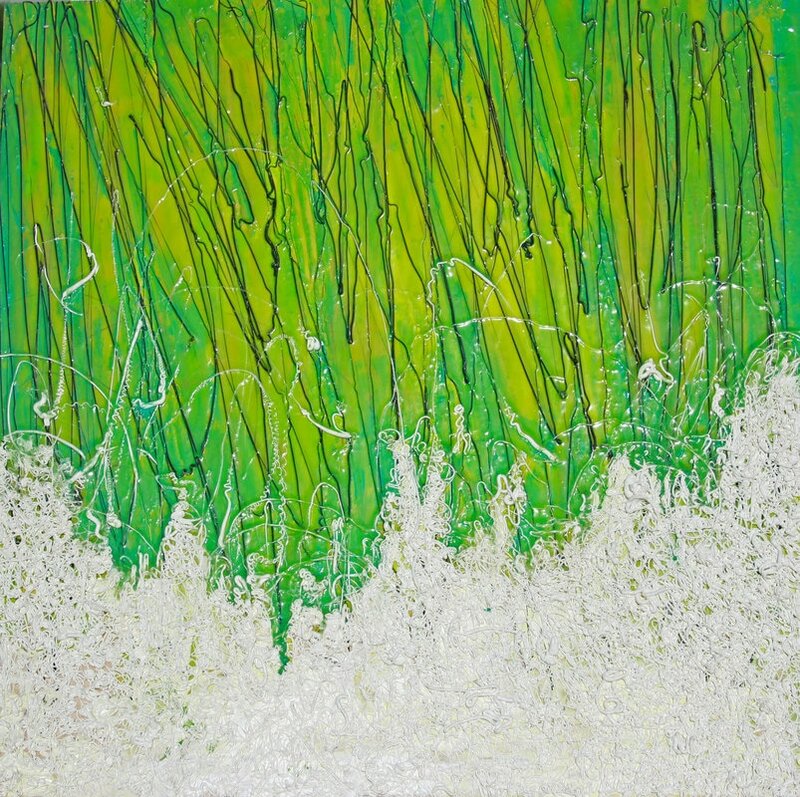 Machado also acknowledges that for him, rooting his paintings in a vision of a deeper spirituality is important. “I seem to have a presence of a "center" in my paintings which reflect themes of balance and discourse, contradiction vs. truth, themes of obsessions, chaos, serenity, surrender, and acceptance. 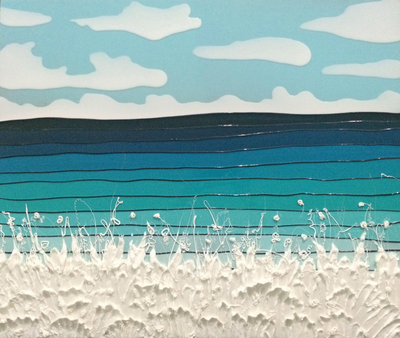 The ocean, waves, and water are a metaphor for these themes in my works,” concludes the thoughtful, soft-spoken artist. "To disappear into deep water or to disappear toward a far horizon, to become part of depth of infinity, such is the destiny of man that finds its image in the destiny of water." Gaston Bachelard. Water and Dreams. 1942. Art is a creative experience that merges the alchemy of science and the metaphoric journey of art. One of the Jungian archetypes in mythology is the artist-scientist, a unique process of abstraction if the human mind. Within that experimental approach is the work of Enrique Machado, an emerging contemporary artist that has placed his work imaginary in the coordinates of Miami. A global city with an archipelago of nationalities and cultures that become a unique urban setting for the evident and unavoidable intensity of global relations and cultural exchanges of a broad geographical scale. Silicone a synthetic compound, inert, with polymers together with carbon, hydrogen, oxygen constitutes an ever-present component in everyday life with no marked harmful effects on organisms in the environment. That is the experimental expressive territory of Enrique, alchemy with one of science, modern universal materials (silicone) with the visual narrative of contemporary art (painting) Enrique, a sculpture-artist that emerged from the prestigious New World School of the Arts in Miami, FL. and who crossed the border of painting, is, however a creative mind which is constantly thinking on the possibilities of the three-dimensional. His paintings marked by the trace, texture and feel of the silicone, each of his paintings seem to follow a plan, every artistic action concerning his silicone paintings seem to descend from his universe of concepts and define territories within the frame. 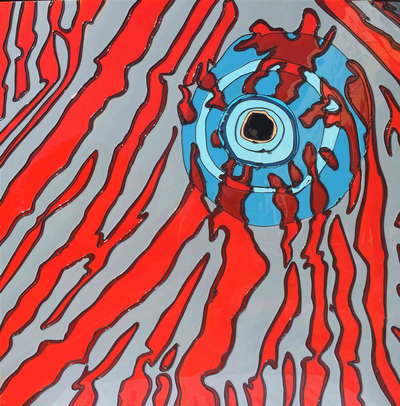 These territories created by his silicone traces, forms and color patterns possess their own history and vitality, their personal magnetism, in reaction, placing the viewer beyond the bounds of functional logic. Enrique’s paintings do not hold autonomy of any kind, the space he has conquered takes the shape of aproposal of expressive methods. The pattern of the spiral and the labyrinth [ancestral symbols of mythological and religious significance] in many of his paintings bring the no temporal value of unexpected symbols. As in the case of the painting “Tunnel Wave #2." character of the artist is rooted in his approach to life, his living context and his conceptual framework, as he states; “My work is about the organization and control of the materials. 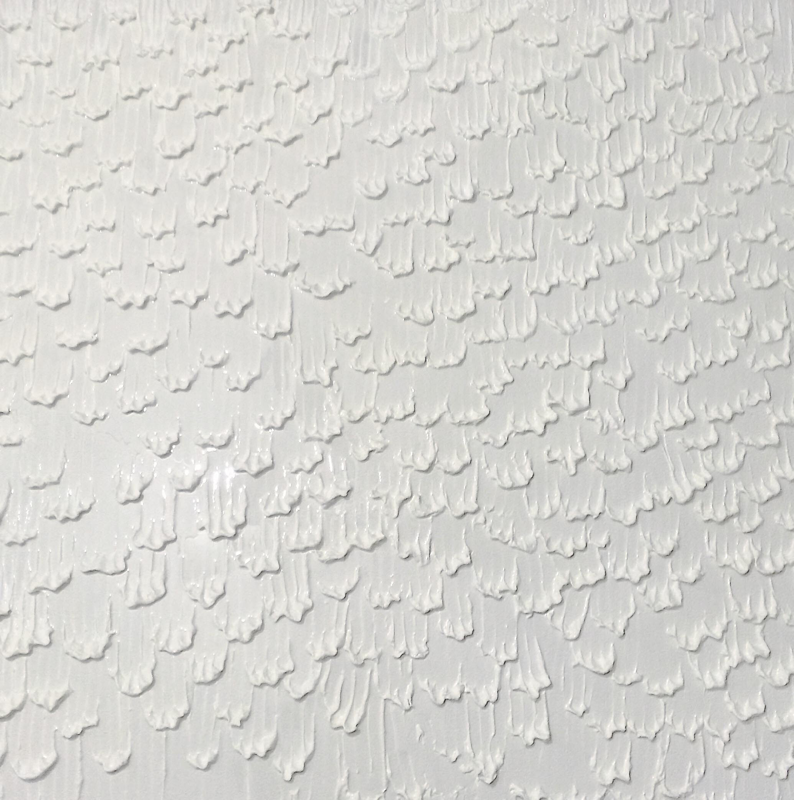 My goal is to further explore the esthetic characteristics of these materials and to communicate a new concept of textured art expressing movement and rich visual patterns within the study of water and its rhythm." much more complicated since the extended body of work with its strength and integrity is to be established, but is still part of an ongoing process, a journey into the future where its long-term ramifications are to develop. scholarship to the Kansas City Art Institute. His understanding of communicating through art implies that artists produce knowledge prompted by the constant change in the context of cross-cultural interactions. His perception of art history as a key referential tool permits him to study Van Gogh and Jeff Koons in a symmetrical relation of experiences of intense communicative nuance and complexity. warn us that far more simply art is a way to dialogue with that which exists. As a young artist that is his challenge. 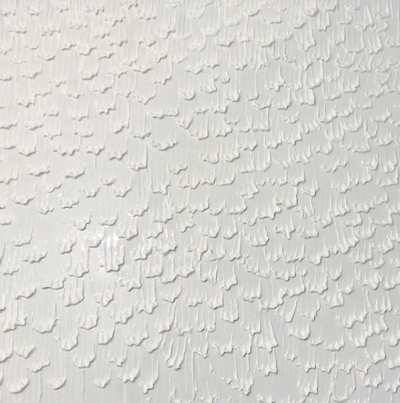 Like mute poems, the Miami artist evocative water waves, movements and turns resonate with suggestiveness without explicitly revealing their meanings. Enrique Machado, a sculpture-artist that emerged from the prestigious New World School of the Arts in Miami, FL. and who crossed the border of painting, is, however a creative mind which is constantly thinking on the possibilities of the three-dimensional. His paintings marked by the trace, texture and feel of the silicone, each of his paintings seem to follow a plan, every artistic action concerning his silicone paintings seem to descend from his universe of concepts and define territories within the frame. 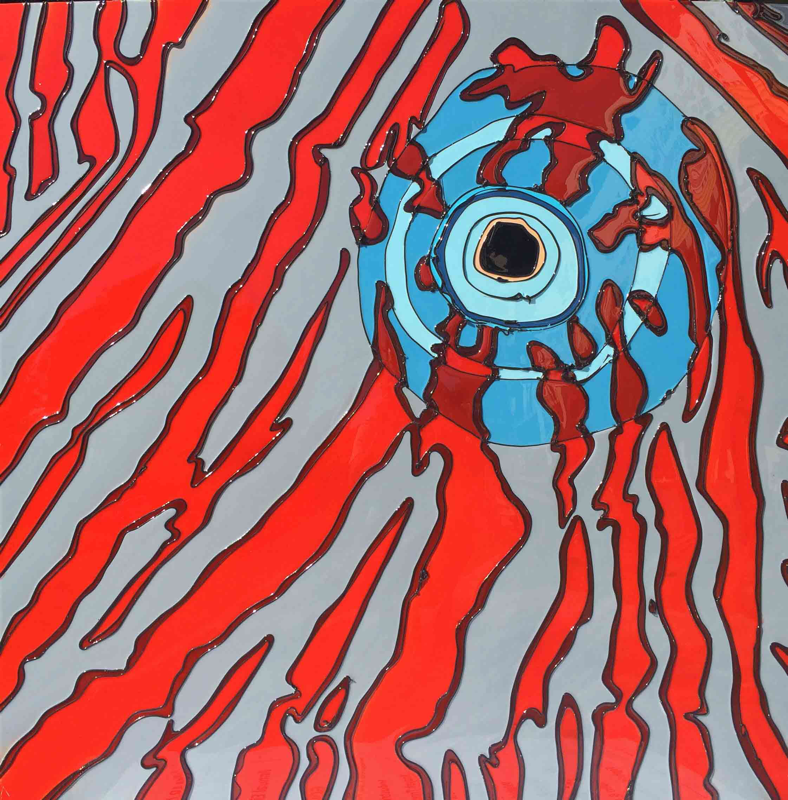 Having started his extensive art education as early as the fourth grade, it wasn’t until 2007 that he discovered a new passion for a certain material called silicone. The artist was intrigued by it’s slick texture and the organic strings of rubber. Naturally he combined his passion for painting with his curiosity of silicone and traded in the paintbrush for a caulk-gun. Enrique Machado is among one of Miami’s New generation of upcoming young talents. 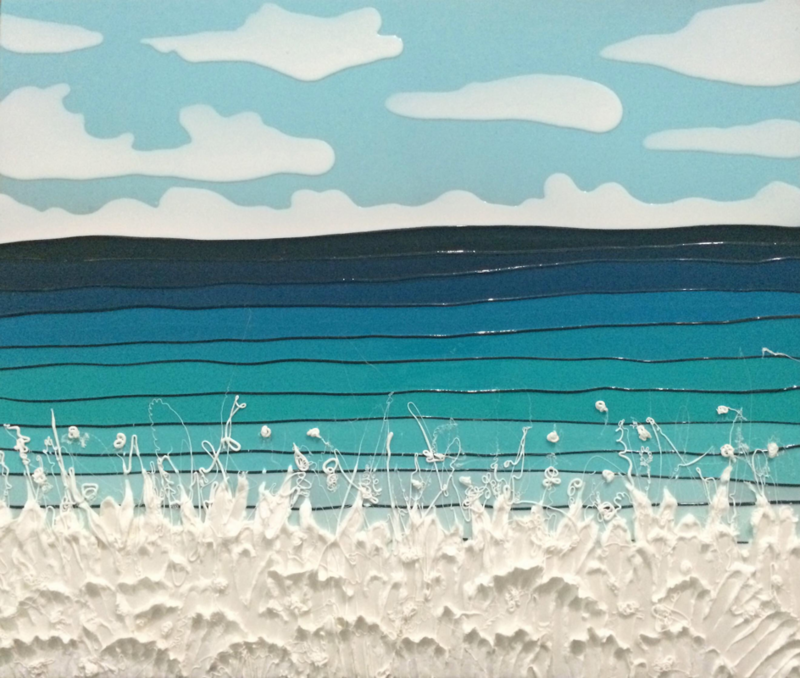 He has gained local attention from collectors, critics, and art fairs. He has had essays written by independent art critic Carlos Suarez De Jesus, Triennial Miami’s Director/ Museum Director/ Curator Jorge Luis Gutierrez and has had an article on his unique style featured in a August 2014 issue of the Miami New Times Magazine titled “ Summertime Art Geniuses”. 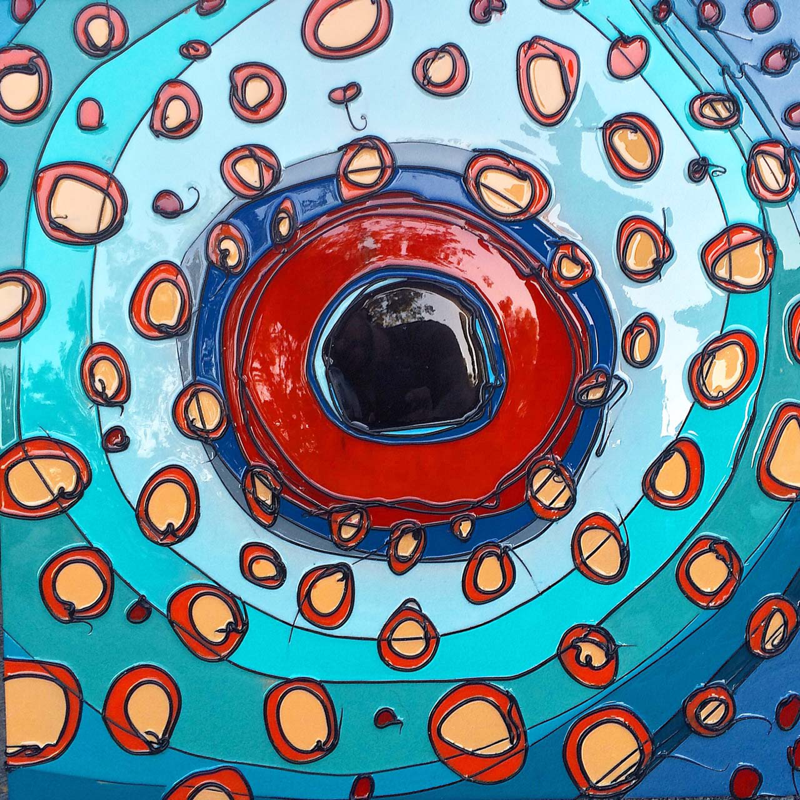 Machado has shown at Spectrum Miami Art Fair (Art Basel Week), Coral Gables Museum, West Palm Beach Armory Art Center, LMNT Gallery, Gallery 212, 1310 Gallery, The Hangar Gallery, Ave 74 Gallery, Flagler Art Space gallery, and Buena Vista Gallery.